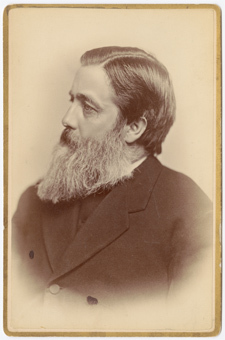 Cornells first President, Andrew Dickson White, chose his friend Willard Fiske to become Cornell Universitys first Librarian. Fiske proved an ideal candidate for the role. He was not only a talented linguist and bibliophile, but had served for seven years as the assistant librarian to Joseph Green Cogswell at the Astor Library in New York City (now part of the New York Public Library). Cogswell, an early pioneer in many of the modern fundamentals of librarianship, influenced Fiskes decisions and career at Cornell. Together, Fiske and White guided the Cornell Library through its critical first stage. Fiskes progressive ideas about library service drew on the European model of the reference library. Cornell may have been the first American university library intended for extensive use by undergraduates as well as by the faculty. At that time most libraries were open only one or two hours a day, just long enough for faculty to check out and return books. The Cornell Library was open nine hours a day, longer than any other library in the country, with five students in charge of the library and its reading room. Student assistants worked from one to four or more hours a day at a rate of fifteen cents per hour. The collection, however, did not circulate.